How to Clear Cache On Google Chrome? 1 Why to clear cache on google chrome? 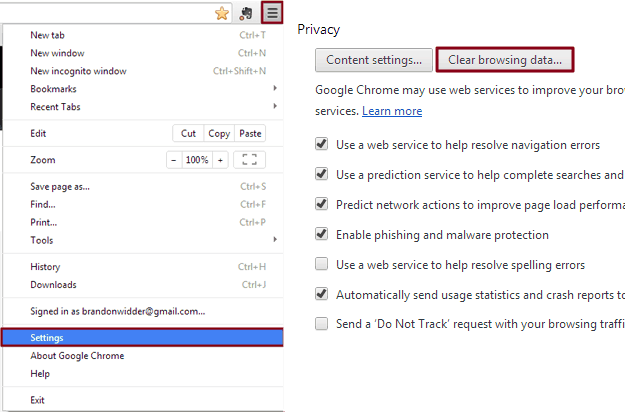 2.1 How to Clear Cache in chrome browser for Windows? 3 How to Clear Cache on a iMac or macbook? If you are looking for method to clear cache on google chrome for windows or mac, then you are at right place. Google chrome is most used browser these days. Mostly, because it offers best speeds and most features. But sometimes, piles of data loads up in form of cache and cookies in browser and takes up too much storage in the PC or laptop. Hence, it is advisable to clear your cache in google chrome once in a while. Keep reading to know how to clear cache on chrome browser by using keyboard shortcuts and also to know to clear cache for a particular site. 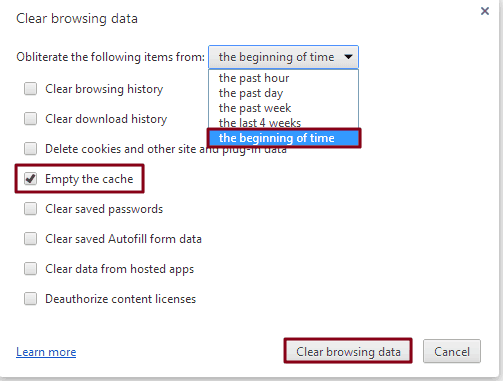 Why to clear cache on google chrome? Internet is the place where you often find yourself exploring something more often than not, there is advantage here, you gain so much knowledge about the stuff happening in the world and stuff that had already happened. The things you search, explore via the internet will be done with a browser as a medium, be it Google Chrome, or be it Firefox or any other browser of that matter. The main objective is internet surfing, While there are no direct harm in it, but stuff happen in the background like cookie tracking, IP tracking that can be used against you to access your private data. There is an alternative for this, you can use the Incognito instead but that is not a reliable alternative because the website opened via Incognito wont get saved in the history so there is no way you can get it back if you want access it again in the future. Then what is the solution to this? Yes there is a solution for this problem. The solution we suggest you is just keep cleaning the Cache and your cookies once every week, by doing this you can easily stay out of any unwanted non sense in form of cookie tracking. So in this article we will clearly explain to you guys how to clear Cache in Google Chrome browser. How to Clear Cache in chrome browser for Windows? Assuming that you have Google Chrome installed on your PC, Login to your Google Account so that it will be synced with Android. Once you have logged into your Google account, the browser will show all your bookmarks, installed extensions and all of your settings. This means that you are searching on the web from your Google account and all the search history will be saved under your Account. Now to clear the Cookies and Cache follow this, Open your Chrome browser, you can see menu button on the right most corner, click that. And from the menu click the settings button you will find in the bottom. Once you click that a fresh tab will be opened with available settings. From that menu you can see an option called “clear browsing data” just tap on it, you can a list of options asking what to clear, just chose “Empty the Cache” from the list of options and wait for a while for the browser to clear the Cache memory. That’s it. How to Clear Cache on a iMac or macbook? To clear cache on google chrome browser running on mac os, follow the exact same procedure as in windows because all the option in both operating systems are identical. There is also a shortcut key to clear cache in chrome. If you are on windows or linux, press ctrl+alt+delete buttons together (for mac command – alt- delete) and directly menu to clear browsing data will appear. Select only clear cache in it and click on clear data. That’s it cache on your chrome browser is cleared. Launch Google Chrome and click on the top right corner and click on Settings. Under Cookies, click on All cookies and site data. It will open a new window with a list showing all cookies and cache. Type the name of the website (for which you want to delete cache) in the “Search cookies” text box in the top right corner. The list is filtered showing only data from the searched domain. Now delete individual website data by clicking on the cross at the right side, or clear everything in the list by clicking on the Remove all button.